For our first EMPOWER Day of this academic year, the Year 11 cohort took part in a Health and Well Being programme held in school. The purpose of this day was to help Year 11 students look at their own health and wellbeing, and developing coping strategies for Stress Management - something that is of paramount importance at such a crucial point in their school careers. The student took part in a range of activities, including Yoga, a Teambuilding Activity and an exciting and informative interactive theatre piece by Upfront Theatre. 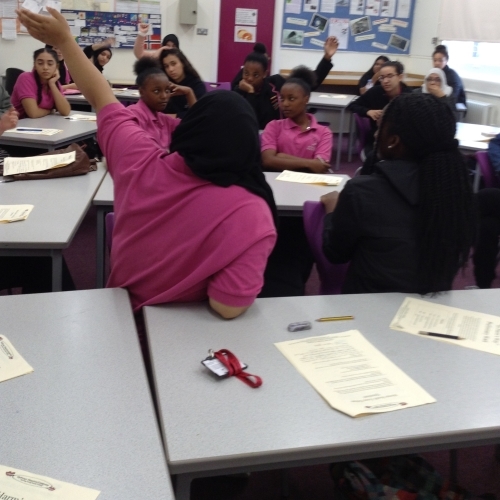 Thank you to the Year 11 students for their enthusiasm in participating with all activities, and of course, modelling the excellent standards that we have here at Fulham Cross Girls’ School, and a huge thank you to the staff that coordinated and facilitating such engaging sessions for the students.